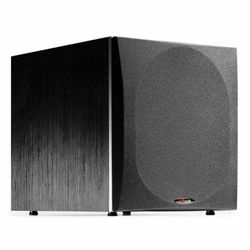 The JBL EON618S is a perfect solution for people who look for a super powerful subwoofer. This model is from JBL, which means it was engineered and built using numerous technologies to make sure you get the best audio experience possible. This subwoofer does not look like a super modern solution, but it is still very attractive. However, this model is all about its performance and it can amaze even the most demanding customer. 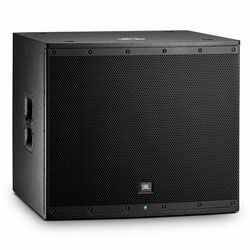 This JBL EON618S review should help people understand if this is a perfect model for them. The JBL EON618S features an 18-inch driver located on the front panel. The ports are located on the front panel as well. The design of the enclosure was optimized and it uses injection molding techniques with the enclosure mechanical shaping feature. The result of this combination is increasing of the sound volume and better acoustic performance without increasing the dimensions of the subwoofer. The Duraflex vented enclosure is completely stage-ready and it is rugged. The body is made of wood which makes the whole construction more durable and stronger. The polymer woofer composition material and the construction allow avoiding any resonance and providing you with stunning quality of the output sound. The front grill can be removed. The front panel also features a small LED light. The back panel features various ports, switches, and dials. You can easily reach what you need and connect a cable or turn a dial. The dimensions are 25.4x26.3x22.9, while the weight is 72.1 pounds. This subwoofer is quite heavy, but this model has two ergonomic handles (on both sides), so you can easily move it around. The weight also makes this model very stable, so it will not move. The JBL EON618S specs amaze – the nominal output power is 500 W, while the maximal output power is 1000 W, the amplifier output power is 1000 W as well. The frequency response is from 31 Hz to 150 Hz, while the crossover frequency is from 80 Hz to 120 Hz, which allows achieving perfect blending with your speakers. This subwoofer features a Bluetooth module and it can be controlled using a special application available for iOS and Android. Using an application you can control master volume, adjust EQ and save or load user presets. The JBL EON618S has 3 parametric EQs and Hi & Lo shelf, so you can make it sound as you want. This model features two XLR 1/4 combo mic/line inputs. JBL uses waveguide technology to make sure it covers the whole area with smooth and transparent sound. Owners of this model claim that it is extremely powerful and it output the deep bass sound. It kicks hard and customers do not get past the second dot on the volume (there are around 30 dots). DJs also claim that it is a great solution. This model sound amazing, the output sound is crisp and it is not woofy or muddy, so it is perfect for movies and music. This model can be perfectly blended with other speakers and you will still get the well-balanced sound. However, many customers find this model too big and heavy. It is not a big deal if you buy it, place it and that it is, but it may be an issue if you are a musician and you need to carry it everywhere. It is quite heavy and you may need some help. Customers do not have any major problems with the EON618S setup process – you just need to connect all the cables, and tweak the JBL EON618S settings to make it sound perfect. However, it may take some time. This model is very flexible (it has EQ so you can get the right sound). However, some customers experience certain issues with the software. The JBL EON618S is an amazing model from JBL – it is super powerful, it has various functions and it is flexible – it has a Bluetooth module, an application to control it. Of course, it is massive, but it is necessary to achieve deep bass sound. It is quite heavy, but it is not a big deal if you will not move it frequently. Overall, it is a perfect option if you look for a high level of performance. However, this subwoofer may cost you some money – this model costs around $790.